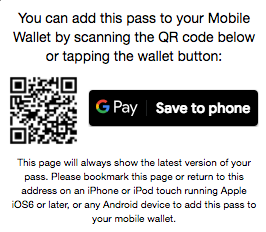 Sometimes customers are not familiar with how to add a digital loyalty card to their Apple Wallet application. We've created these simple to follow instructions for your customers to follow. Or print this pamphlets out and give to them when they first sign up for your loyalty programme. 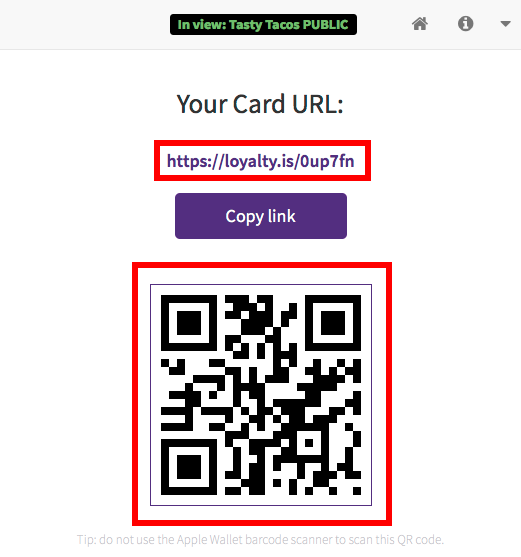 Remember to share the correct QR code (or URL). The URL and the card shown in the pamphlet is for illustrative purposes only. 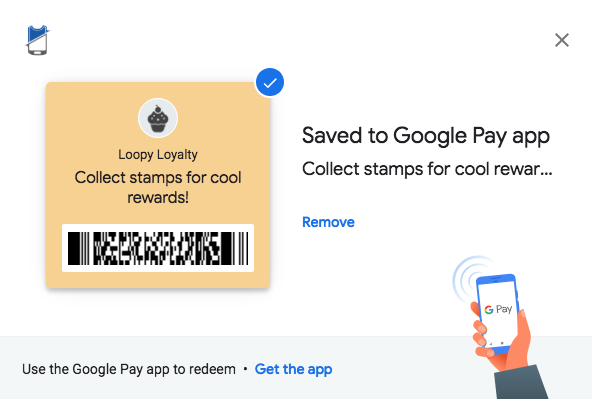 Learn how to save stamp cards to Google Pay by watching this video or following the instructions below. Log into your Google account. This will be the account that your Google Pay cards are associated with. Type your card URL in your browser on mobile or scan the barcode with a 2D barcode scanner app (e.g. Manatee Works Barcode Scanner) and open the URL in your browser. Fill in the required details and tap the 'Join Now' button at the bottom. Then tap the 'Save to Phone' button at the bottom of your screen. 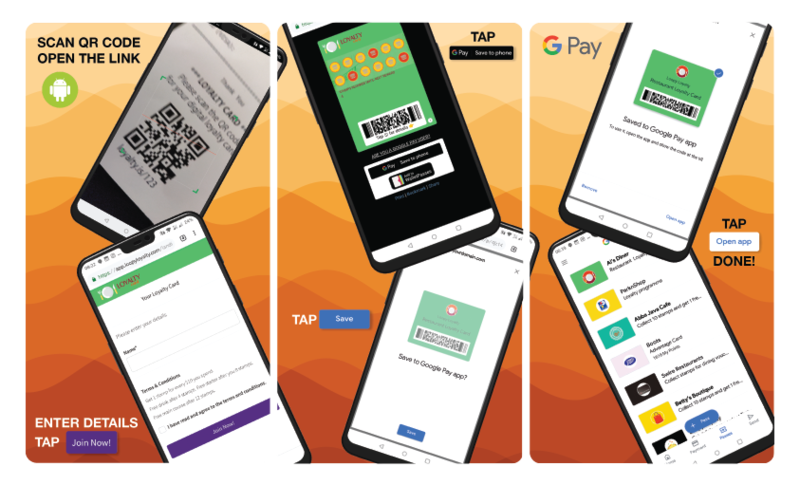 Tap on 'Save' and your card will be saved to Android Pay. Click on your card URL in your 'Dashboard'. Fill in the required details and click the 'Join Now' button at the bottom. Click on the 'Save to Phone' button. The following will pop up letting you know the card has been successfully saved.